Measuring Tools There are 37 products. 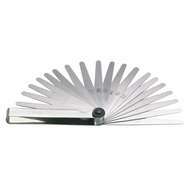 Set of 20 fold away feeler gauge blades. Sizes 0.05 mm to 1.00 mm in 0.05 mm increments. 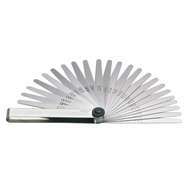 Set of 20 fold away feeler gauge blades. Sizes 0.05 mm to 1.00 mm in 0.05 mm increments. Chrome-vanadium steel. 70° offset scriber. Chrome-vanadium steel. 70° offset scriber. 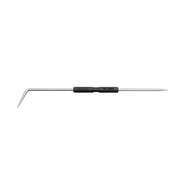 Scriber with interchangeable carbide point. Tip diameter 2.5 mm. Body diameter 8 mm. Scriber with interchangeable carbide point. Tip diameter 2.5 mm. Body diameter 8 mm. 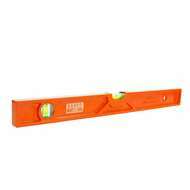 Level made from solid injected aluminium. Machined base and top . Accuracy 0.5 mm/m. Level made from solid injected aluminium. Machined base and top . Accuracy 0.5 mm/m.